(in process) site master plan, conceptual architectural design package for City of West Sacramento Planning Entitlements and world wide marketing package for ABS capital campaign fundraising. (in process) remodel of existing Bloodsource Merced tenant improvement to accommodate and upgrade for Mobiles/Hospital Services Departments. 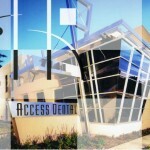 Install new exterior door access and covered mobiles parking space. (in process) Various on-call architectural interior remodels/upgrade projects including: Gift Shop Interior and Exterior Remodel, Inventory Control Remodel, Slot Machine Remodel, Toilet Core Interior Remodels at 3 Different Locations. (in process) site plan and architectural design package to accommodate a new free-standing Multi-Purpose Building on recently purchased adjacent property. (Note the church name change. Previously called First Romanian Apostolic Church). (in process) 3-Story Main Lobby and Stairwell Exterior Remodel for up-scale facade at East Elevation Main entryway and Canopy.